Pro Tapes® new packaging and label design is not just an artistic refresh, it’s designed with retail in mind. Our updated labels contain easy-to-read product information in a standardized format and include a UPC barcode making Pro Tapes® products even more retail-friendly. 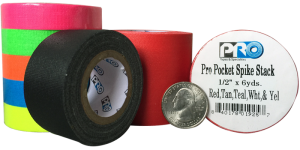 Our standard finishing includes a clear PET film wrapping to protect each individual roll of tape and make removal of the label clean and easy. Recently, consumer demands call for products that have the ability to fit just about anywhere. The smaller an item is, the more portable it becomes and therefore also making it more convenient to throw in a car, tool box, purse, or even your pocket. 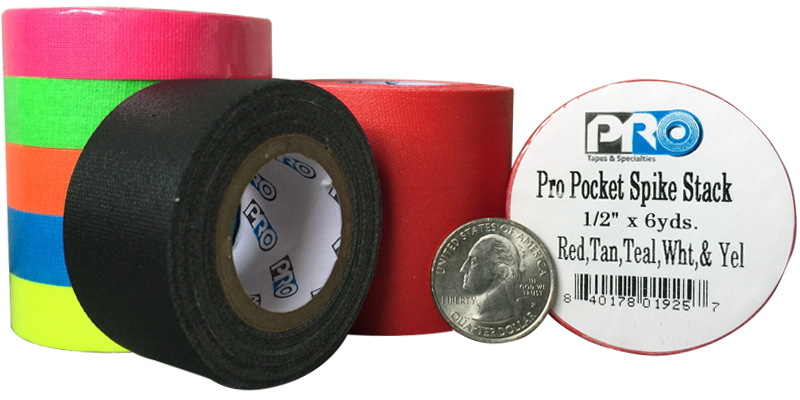 ProTapes has responded to that demand for smaller consumer goods by creating smaller “pocket” versions of our top selling ProGaff gaffers tape as well as a variety of our glow products. These items are available on a smaller, one inch inner diameter core instead of the standard three inch inner diameter core.